Go behind the scenes and learn how craftsman Jake Eshelman makes one-of-a-kind skateboards by hand with this nonfiction book that’s full of photographs and illustrations about his process. Jake Eshelman of Side Project Skateboards in Houston, Texas, grew up with a love of skateboarding. After meeting his future wife in college, Jake decided to turn his passion into a career: making one-of-a-kind skateboards from beautiful pieces of found wood. This book gives readers an inside glimpse into Jake’s creative process, from wheel to finished wheel! Charts, infographics, and bold photographs make this a picture book for anyone who is curious about how a skateboard is made. 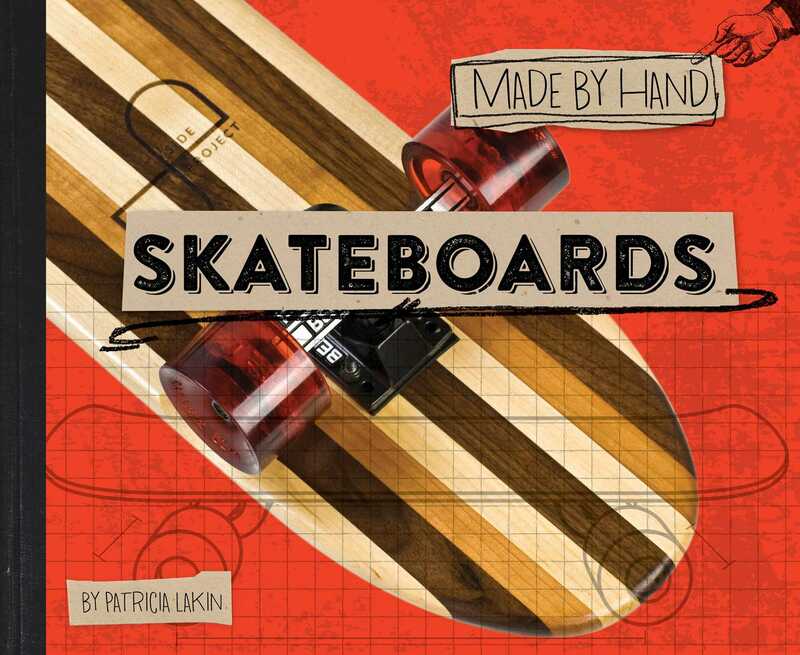 This book also features a history of skateboarding, a timeline, and resources to inspire kids to make their own objects by hand.